Traditional Chinese Medicine (TCM) often identifies links between seemingly unrelated parts of the body. I’m always pleased when modern medicine finally catches up and reports on something practitioners of TCM have known for centuries. One of these unusual links is between the large intestine and the skin. According to TCM, keeping your large intestine healthy will influence your skin in a positive way. At first, these two don’t seem to have anything to do with each other. But according to a study published last year in Critical Reviews in Food Science and Nutrition, what’s good for one might be good for the other. You probably know by now that probiotics are great for your digestive system. They help increase the number of good bacteria in your gut while keeping down the harmful ones. Your large intestine generally loves probiotics. As it turns out, your skin does too. Your skin also is covered in bacteria, as much as we hate to think about this. Some of these bacteria are dangerous and can cause skin diseases and other negative conditions. But lactic acid bacteria (LAB) actually improve skin health. And you can find LAB in probiotics. Taking the bacteria Lactobacillus delbrueckii orally can help you avoid developing atopic disease and provide you with anti-photoaging effects for your skin. Even better, LAB makes your intestines happy too. They even reduce your risk of infectious diseases, such as IL-10 deficient colitis. The researchers note that several studies have identified links between several skin diseases and diseases of the intestines. Further research is needed to determine if probiotics are the answer in more of these situations. While this study looked at one particular strain of bacteria, it’s good to take a variety of strains. This would include those in Advanced Probiotic Formula. Crit Rev Food Sci Nutr. 2015 Aug 19:0. 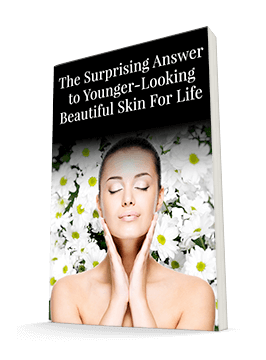 [Epub ahead of print], Probiotic Lactic Acid Bacteria and Skin Health. Jeong JH1, Lee CY, Chung DK.